One Owner 2011 Jeep Wrangler Mojave 4WD is for sale at 1st Choice Auto,LLC in Fairview, Pa. **Your approved! ** Apply on our website at www.1stchoiceautollc.com for quick approval! Bankruptcy, Repossessions, Foreclosure, Divorce. No Problem, we can help. Our financing will help your credit, when you make your payments, because it reports to all 3 credit bureaus. We are a family operated dealership & we look forward to helping you get in your next vehicle by earning your business and your trust! 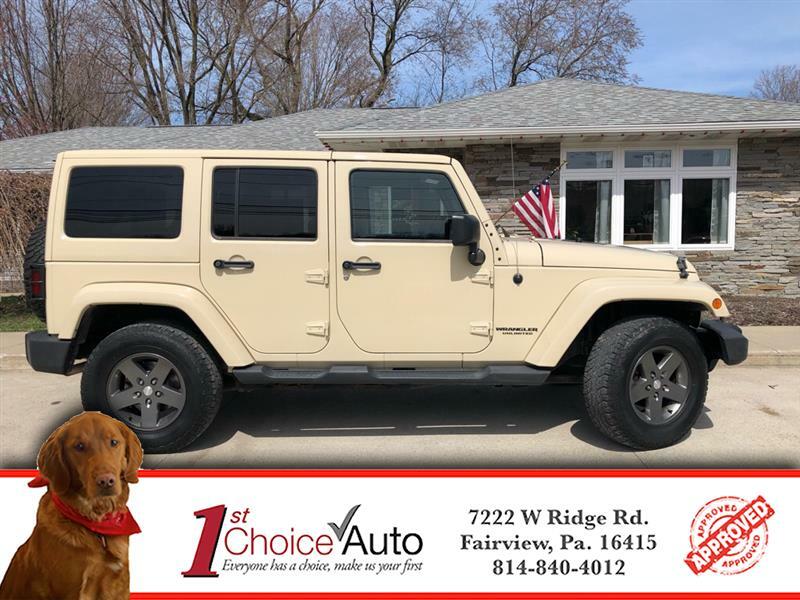 Visit 1st Choice Auto online at 1stchoiceautollc.com to see more pictures of this vehicle or call us at 814-840-4012 today to schedule your test drive. Bert is absolutely amazing! He’s easy to work with and definitely the person to go to if your getting your first car like I did! 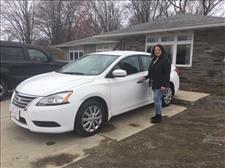 I love my 2015 Nissan Sentra that he had matched me up with! I’m sure glad I made 1st Choice Auto my 1st Choice! Thank you!